In Medals Pins and Badges > Comic Pinbacks > Show & Tell. 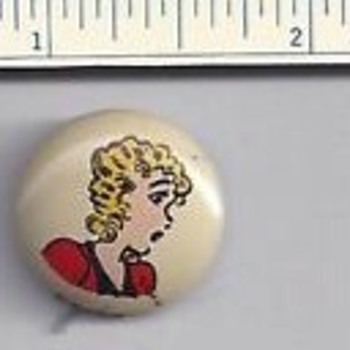 The PEP cereal pinback premium set of 86 characters is a great set for completists. The set c. 1945-47 features many newstrip and comic characters popular at the time. Three examples from this set featuring some neat good girl art, Brenda Starr, Blondie and Cindy. Thankyou Manikin, glad you enjoyed. Thankyou to aghcollect, as always, appreciate the love. Cool, except Brenda was hot!